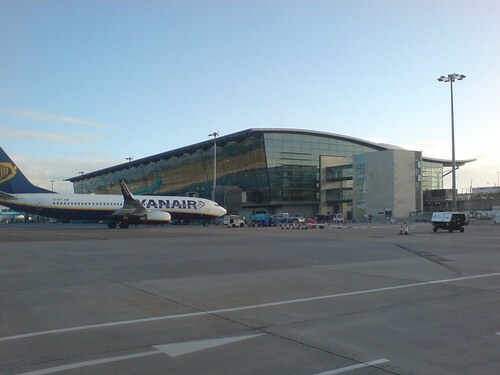 A fierce fancy airport with car park barriers designed and selected by morons. Machine swallowed my ticket at 1am and refused to let me out. Guess where the geniuses have put the intercom? Yup, built into the malfunctioning machine. Ended up running down to terminal twice to ask them to open up. Eventually got out at 1.30am when shuttle bus arrived. Very close to ramming to get out at that stage. Someone please send these cretins â‚¬100 for a few web-cams so they can monitor the exits. Oh and don’t tell Al Qaeda that nothing is monitored properly in this white elephant. Which of their brown paper envelope buddies did they get to install this third world reject of a system?